The name: Trespalacios is Spanish for Three Palaces. The town was named after the bay and the bay was named after a mirage supposedly seen by shipwrecked Spanish sailors. They imagined seeing three palaces on shore which disappeared as they approached. It's a much more colorful story than simply admitting that it was simply named after Jose Felix Trespalacios. Somewhere along the way (around 1902) two palaces were lost and the town is now simply Palacios. 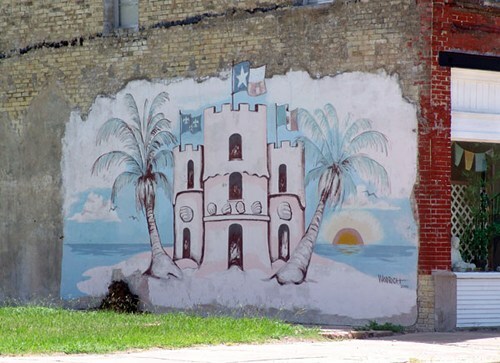 Bill and Clare Bradfield, authors of Texas Towns from A to Z Pronunciation Guide, (Three Forks Press 1996) remind us that Palacios is pronounced Puh-LASH-uhs and not the proper Spanish Pa-las-ee-ohs). 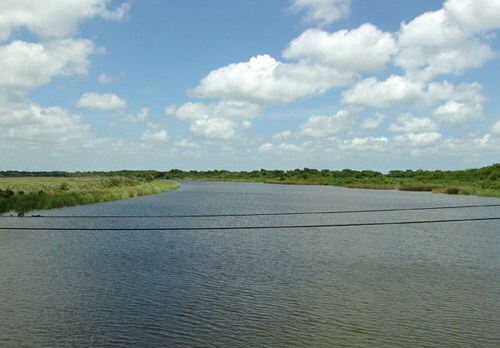 Cattle baron Shanghai Pierce had originally owned the land where Palacios is today. If he hadn't sold it - you can bet his statue (now in a cemetery near Blessing) would be in the most obvious spot in Palacios. Pierce was a modest man who ordered his statue carved before he died so he'd have time to admire it. 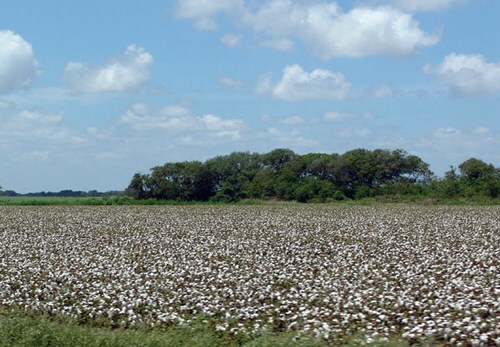 In 1901 the land was bought from Pierce by The Texas Rice Development Company. 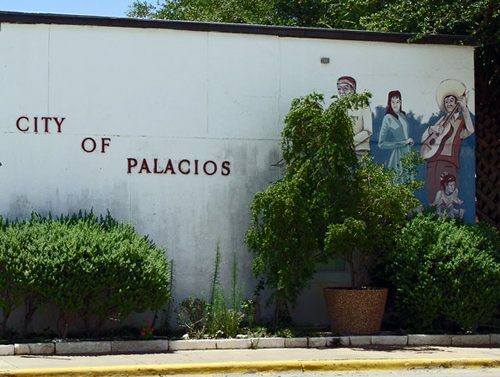 They in turn sold the townsite to their own subsidiary - The Palacios City Townsite Company. This is when the change from Trespalacios to Palacios was made (1902). 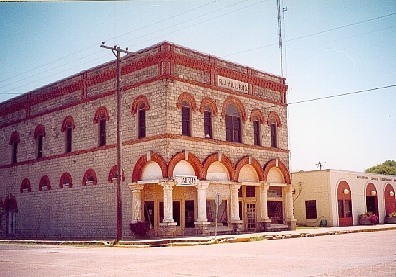 1903 brought a hotel, the railroad and a post office. The next year a pavilion was built and the oyster and seafood industry started. 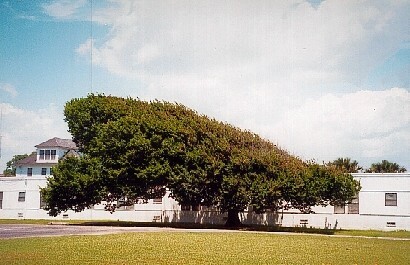 A breeze-shaped tree on the Bay. 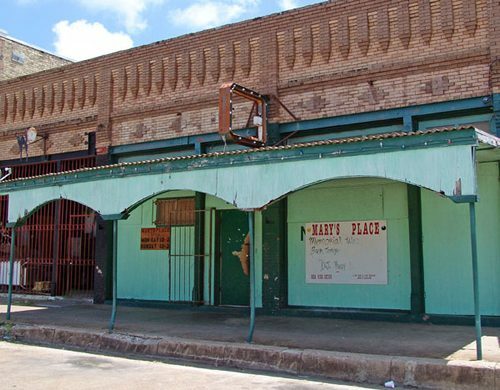 Palacios has had a post office since 1903, but people had been trying to build a city on the upper end of Matagorda Bay long before then. Had the first effort been successful, it would have changed the map of Texas – at least some of the words on that map. In 1836, Capt. 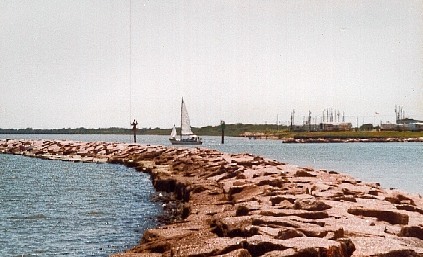 Thomas Bridges, a shipmate from Boston, acquired title to 800 acres on Oliver Point, not far from present Palacios. 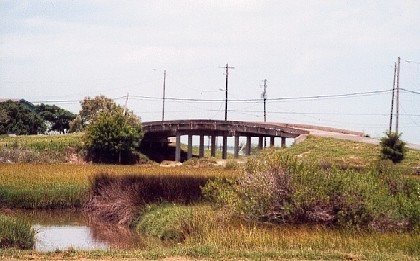 Bridges had a substantial town site surveyed and soon traveled to New York City to sell lots. 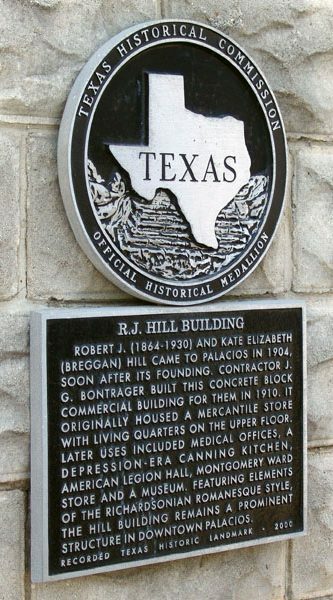 He envisioned his town in the new Republic of Texas as a major port, even thought his land lay 17 miles from the open Gulf of Mexico. Such an important future metropolis, he reasoned, needed an equally important name. The new town, soon to be a prosperous city, would honor the man considered the Father of Texas, Stephen Fuller Austin. Unfortunately, the first Austin, Texas fell far short of greatness. 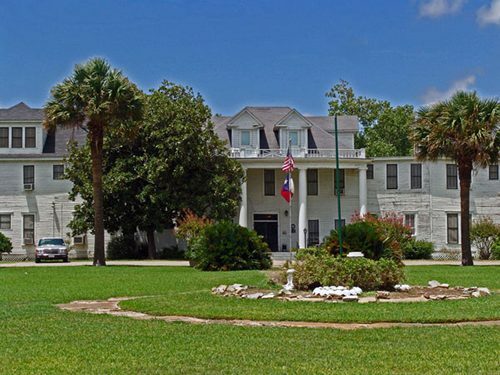 Today, few people even know Texas had another Austin before the Colorado River village of Waterloo acquired the name in 1839 when a presidential commission located the capital there. Palacios acquired a caboose with an appropriate bay window. This has to be purely coincidental since the city couldn't possibly predict which type would be available at the caboose auction.